The Uyghur Human Rights Project (UHRP) and Uyghur American Association (UAA) are pleased to announce the launch of their redesigned websites, www.uhrp.org and www.uyghuramerican.org. The new websites feature a focus on the research and activism conducted by UHRP and UAA, and provide readers with the latest news on issues affecting Uyghurs in East Turkestan. UHRP and UAA hope that visitors to our websites will find the new format appealing and user-friendly, and that Chinese visitors will be attracted to the new Chinese-language section of www.uyghuramerican.org. "With the launch of our newly designed websites, we hope to reach out more effectively to a diverse audience that is increasingly concerned about Uyghur human rights issues," said UAA president and UHRP director Alim Seytoff. "While the human rights conditions in East Turkestan have worsened, the efforts of UAA and UHRP have also broadened in scope in recent years. We hope that our new websites will help guide Internet users to learn about the situation of the Uyghur people, and we also hope to illustrate the widening advocacy and research work that is being conducted on behalf of Uyghurs." On the new www.uhrp.org, Internet users will find a new section entitled "UHRP in the News," featuring the writings and activities of UHRP staff. The site also features easier access to UHRP's press releases and comprehensive reports. In addition, the site links to UHRP's weblog, through which UHRP plans to present robust commentary on Uyghur-related issues from Chinese, Uyghur and Western contributors, in addition to staff members. Visitors to the new www.uyghuramerican.org will find a new dedicated section to discussion of Uyghur-related issues in the Chinese language. Visitors to this site will also find a new section entitled "Uyghur Books and Films", and a featured video on the main page related to Uyghur culture. As always, visitors to both www.uhrp.org and www.uyghuramerican.org can sign up for the UHRP mailing list electronically. Both sites also offer the ability to make online donations. About UAA: The Uyghur American Association (UAA) is based in Washington, D.C. and is a tax-exempt, non-profit membership organization under Section 501(c)(3) of the U.S. Tax Code. Founded in 1998, UAA works to promote the preservation and flourishing of a rich, humanistic and diverse Uyghur culture, and to support the right of the Uyghur people to use peaceful, democratic means to determine their own political future. UAA has undertaken the Uyghur Human Rights Project for the purpose of promoting improved human rights conditions for Uyghurs and other indigenous groups in East Turkestan (referred to by the Chinese authorities since 1955 as the Xinjiang Uyghur Autonomous Region (XUAR), on the premise that the assurance of basic human rights will facilitate the realization of the community's democratic aspirations. About UHRP: The Uyghur Human Rights Project (UHRP) was founded by the Uyghur American Association in 2004 with a supporting grant from the National Endowment for Democracy (NED). UHRP's mission is to promote human rights and democracy for the Uyghur people, and to raise awareness of human rights abuses that occur in East Turkestan. 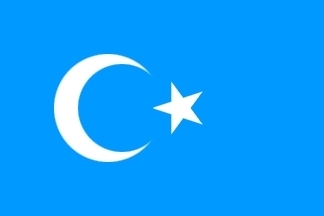 The UAA has undertaken the Uyghur Human Rights Project (UHRP) for the purpose of promoting improved human rights conditions for Uyghurs and other indigenous groups in East Turkestan, on the premise that the assurance of basic human rights will facilitate the realization of the community's democratic aspirations.